We have been working through our circus preschool theme activities this week. Last week I shared Caleb’s quick and easy Circus Color Activity and so today I thought I would share our circus fine motor practice. Don’t worry, I will also share our free circus fine motor preschool worksheets of course. Why did we choose this theme? Well, to be honest, my kids have never been exposed to a circus and I figured why not? Caleb will be exposed to clowns, ringmasters, and elephants- seemed like a good idea. 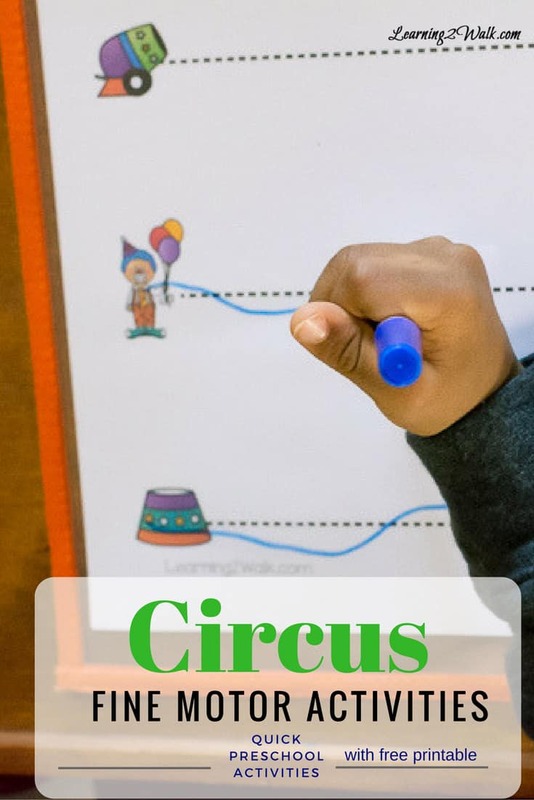 First, print the section of the Circus Fine Motor Activities Pack on either card stock or printing paper. 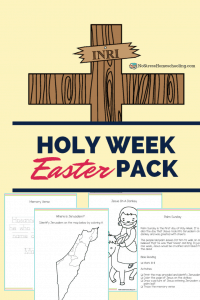 You can either allow your child to work on the cut and paste puzzles or the tracing sheets. Keep in mind that the tracing sheets can also be used for cutting practice. Second, if you chose to work on the tracing sheets, slip the sheets in a wipe and write pocket (pictured above). 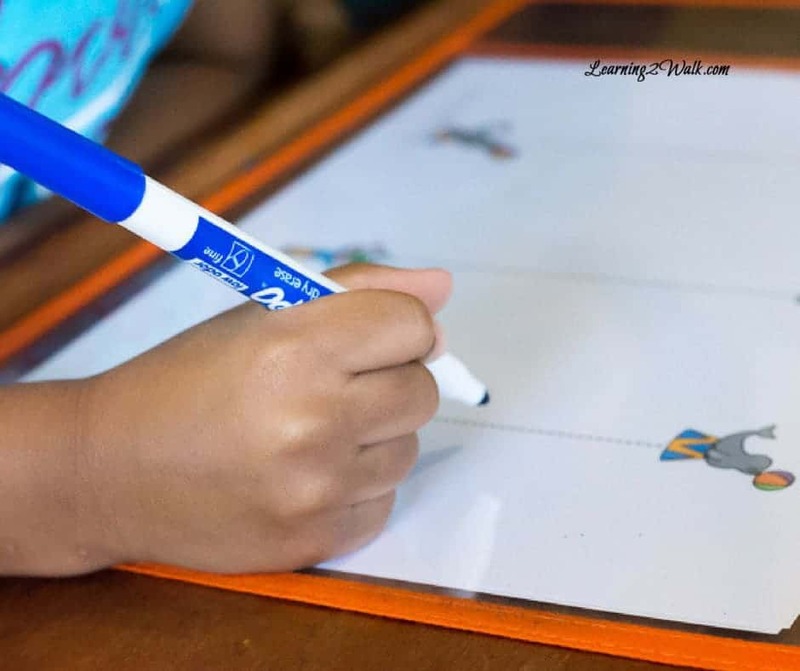 Hand your child either a dry erase marker or a dry erase crayon. Remind them to use their helping hand (the one that does not have the marker in it ) to hold their paper. Also remind them to go nice and slow while tracing. 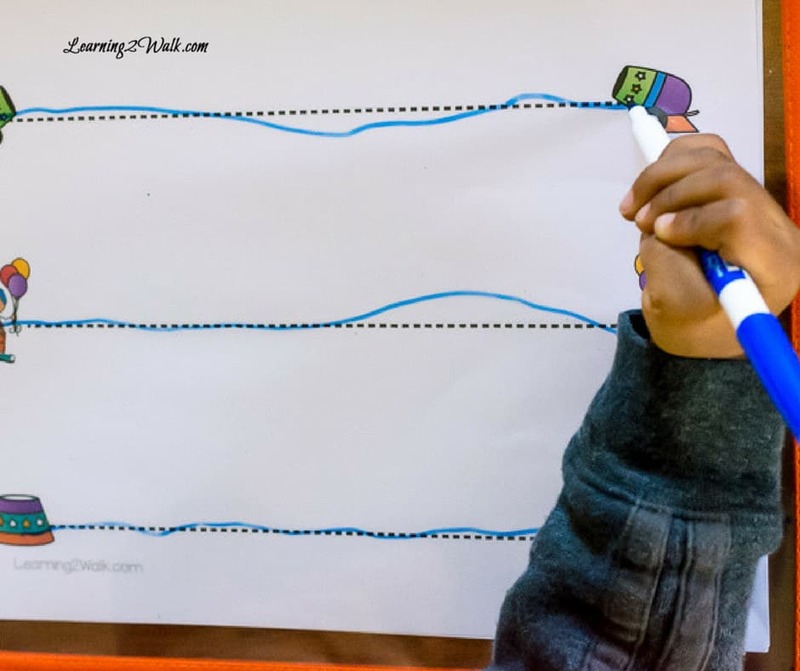 If you chose to use the tracing sheets as cutting sheets, simply ensure that your child is sitting and is using child-proof (see above) scissors. Also, remind them that scissors are not toys but tools. For the cut and paste puzzles, allow your preschooler to cut along the two gray lines. Once this is done, have them glue the pieces back together. They can either glue them on construction paper or printing paper. Circus Themed Books To Try!